We are Web Site developers who provide custom websites at web builder prices. Our Prices start at $350. You will notice that our websites do not look like they came from a cookie cutter. Each and every website is custom designed to fit your budget. We design each website to be as profitable to you as possible. We create and place your business presence on the Internet to increase your customer base and profits. We provide you with the highest quality service in the market today as well as all the best Internet tools. We can grow your Website as you grow your business. We Also Do WEBSITE MAKEOVERS! 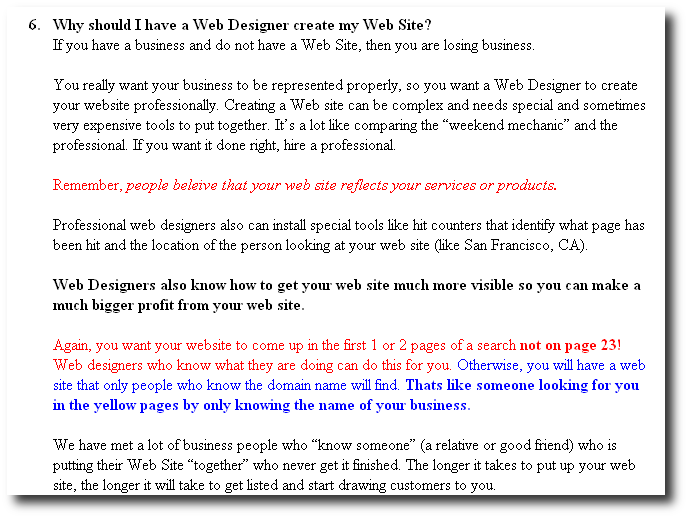 (see FAQ #6) Did you have someone else complete your website and find out that your website comes up on page 23 on a Google Search or not at all? 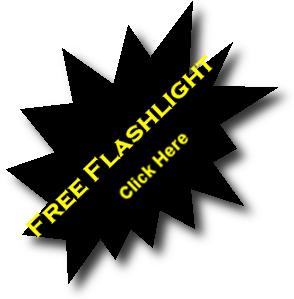 CLICK HERE FOR HELP!